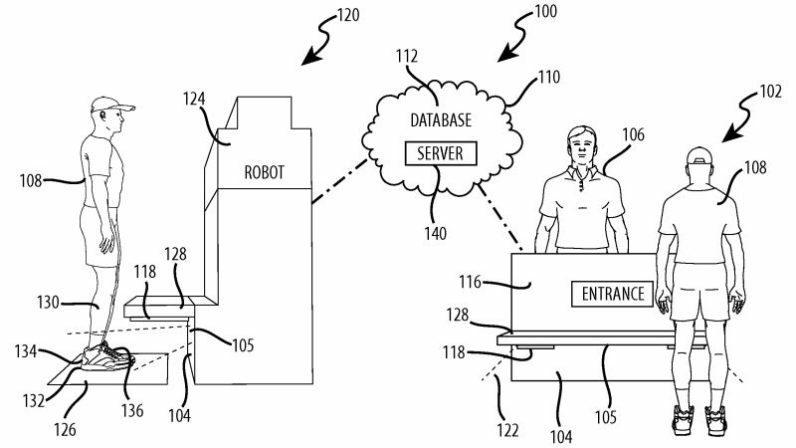 In its efforts to expedite lines, customize the Disney experience, and make your overall visit more enjoyable, Disney’s new patent details plans to track people by their shoes to see where they’re going around the park. The idea is that when you enter the park, a hidden camera will take photos if your shoes, then magically obtain guest information such as your name, favorite Disney character, favorite food, hometown, and/or favorite ride. Then, robots will roam about looking for your shoes to collect more information about how you’re moving around the park, how long you spend waiting in line, and try to cater to experience to suit your interests. [S]hoe styles typically vary widely in appearance and colour, helping to reduce confusion for the system in identifying a particular person and in instances where two people have the same or similar shoes. The concept makes sense, but on paper it sounds a bit disturbing. You know that feeling when you think someone can tell you who are in your office’s bathroom based on your shoes? THAT’S WHAT YOU ARE DOING, DISNEY. Thankfully, it’s just a patent for now so there’s no promise that Disney will implement something like this in real life – so no need to risk going barefoot if you’re headed to a park in the near future.